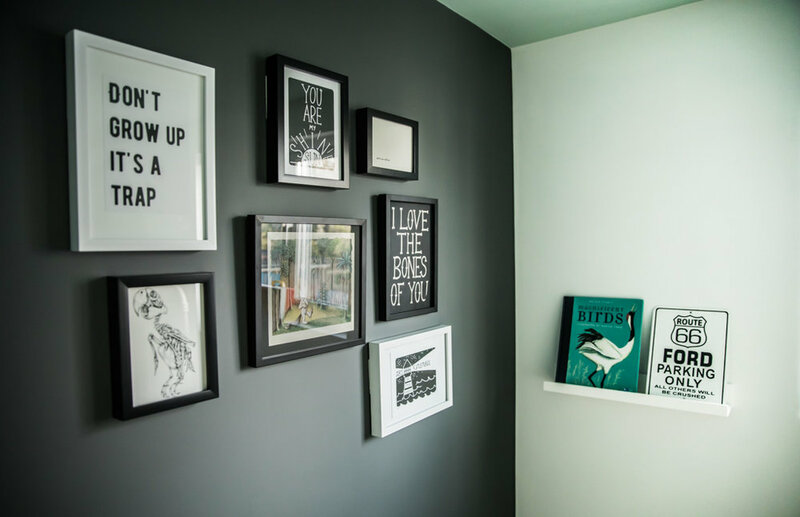 Dec 18 Kid's Room Grand Reveal! It is with great joy and excitement I reveal Jack's new bedroom which is the project I've been working on for the last month or so pretty much non-stop (in between clients, blogging and Christmas prep!). We decided that we could achieve this room in a relatively short time (in comparison to the kitchen which is still a building site) and the main benefit being that we would have space to have friends and family come to stay again and the boys would get a better night's sleep in separate rooms. However Jack only moved in there last week and it's made me a little sad (and proud) to see they are missing each other. It has been a hard slog to have it ready in time for Christmas but totally worth it! Shall we get on with the reveal? Ok let's start with a little reminder of how the room looked before. 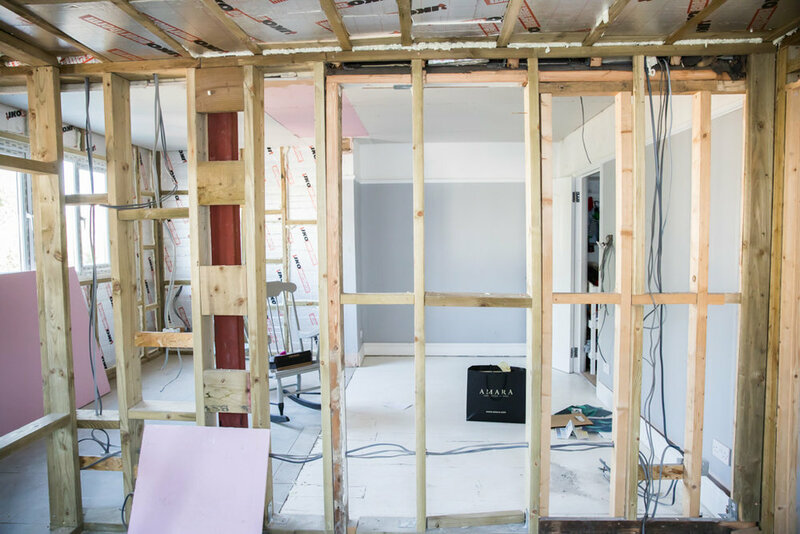 If you read my blog posts you'll remember that we completed our renovation in the middle of October and this is the first completed room in the new part of the house (you can read about the extension here). What do you think? It took me such a long time to choose what the 'mountain' should look like and which colours should go where but I am totally convinced that I made the right choices. I love being in this room! The dark colours make me feel peaceful and the wood floor and sheepskin rug really adds some warmth along with the mint green ceiling. Well what do you think?! I feel like these images really show how cosy it is in there, something that I feel a white ceiling couldn't have achieved. 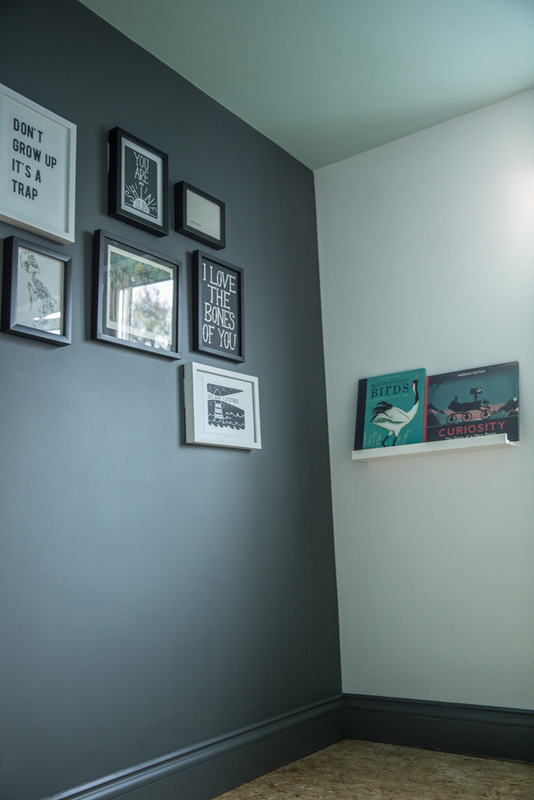 So, by far the most transformational thing you can do to a room is paint it and I really wanted something a little different in this kid's bedroom and push myself with my design skills on this one. My previous blog post talks about where my concept for this bedroom came from - an Instagram image and a friend's floor - but the colour palette was taken from the beautiful illustrations by Maurice Sendak in Where the Wild Things Are. It's my all time favourite book. I find it so mystical and transportive and wanted that aspect to affect the room. You could say the OSB floor represents the trees, the green ceiling shows the upside-down nature of the children's tale and the triangle that frames the bed is like the mountains of a faraway land. Maybe I'm getting a bit too deep but possibly the stormy grey wall suggests the turmoil of young and mischievous Max in the story but it also grounds the room in my opinion. Choosing the paint was important and not an easy task but Valspar provided a great option for me with their colour mixing technology so I could find the right shades of white, green and grey. I've never used Valspar before (I don't really know why as I've used every other paint brand!) so when they got in touch I was really excited to try something new so I can be more informed in being able to advise my clients and readers on choosing paint for their homes. I was also eager to see if their paint really was drip resistant. 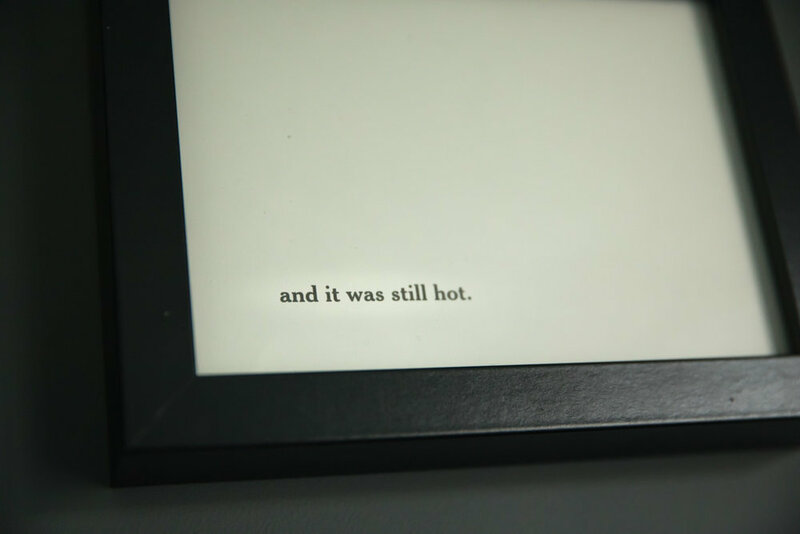 I can testify that it was! Usually after a day of painting I'm covered in paint splatters everywhere, especially all over my hair so it was handy that I didn't have to wash after every painting session (of which there quite a few as they were different colours so I had to wait for each wall to dry). I was really impressed with the coverage too and loved that the matt finish really does appear like velvet. Another surprise was that the Valspar mixing person at the Sydenham B & Q store (I'm sure they have a better title than that?!) was really knowledgable about the Valspar colours and products and helped me choose the appropriate Grey White. So all in all I was happy and would not hesitate to use the brand again. I would say that I find the 2000 colours on offer and artificial light in the B & Q store a difficult way of finding the right colour so doing a colour match to a photo or illustration (something that Valspar offer) would be a good way around this. Another nifty feature for me was that the paint cans are plastic rather than metal and was SO much easier to open and seal after use than anything else I've used. I have to say that painting this room was a pleasure and an enjoyable experience and if you want some tips on painting a room yourself see my previous post. I'm preparing another post of 'My DIY hacks' with lots of ideas I've discovered that work over the years including how to get straight edge lines when painting. The idea for the floor came from a friend and I was surprised that once treated there is a real warmth to the OSB. 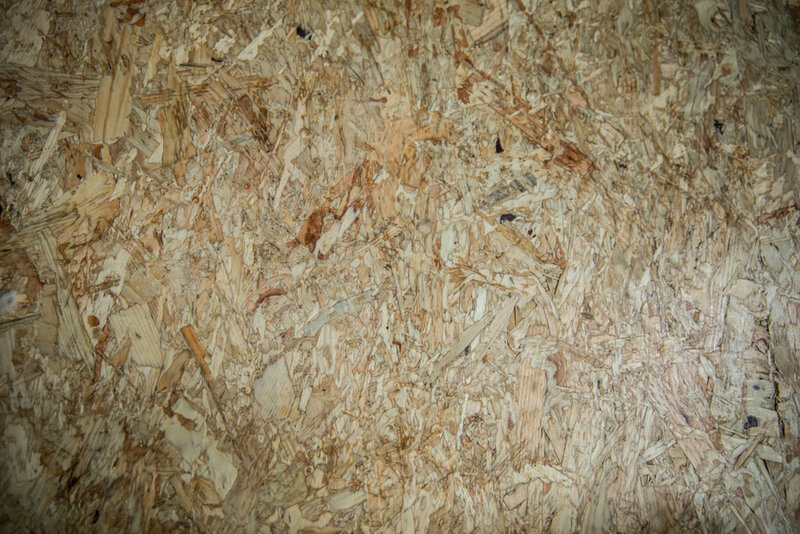 Oriented strand board (OSB) is a type of engineered lumber similar to particle board, formed by adding adhesives and then compressing layers of wood strands in specific orientations. It's normally used in construction and is responsible for 70 percent of all floor, wall and roof sheathing in North America! OSB3 which is what I've used here is a strong, versatile board suitable for structural use in humid conditions. You'd normally see it in structural flooring hidden underneath carpet etc. so it definitely has a bit of an industrial feel which I love but I wouldn't use it in every room in my home. I think it's quite playful for a kid's room though and really glad I used it. I sourced this tongue and groove version of it from About Roofing and I'd definitely recommend it. 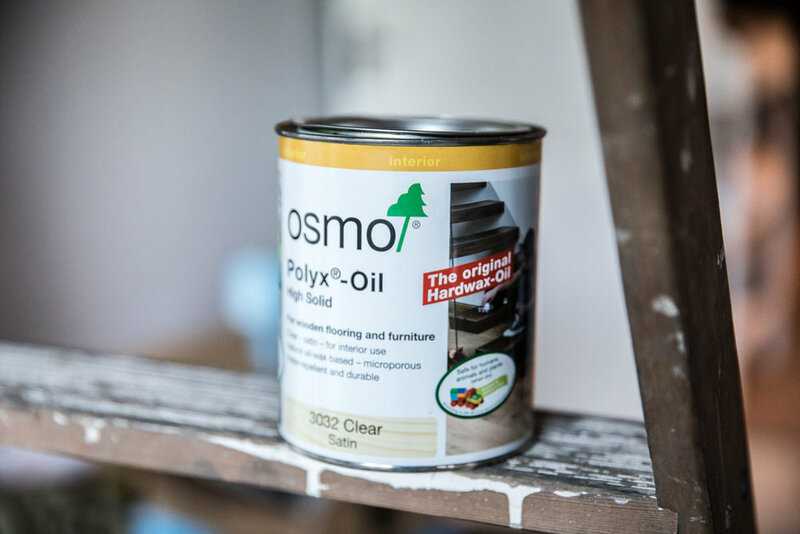 Mr Skirting (AKA John ) found it pretty easy to install and the Osmo Polyx Oil I used to seal it looks great, protects it well and is super easy to apply. I couldn't find ONE single tutorial on how to do this online (even on Pinterest) so I took photos of John doing it so I can write a guide in the New Year. As a subject you know I love to talk about, I had to mention the skirting boards. 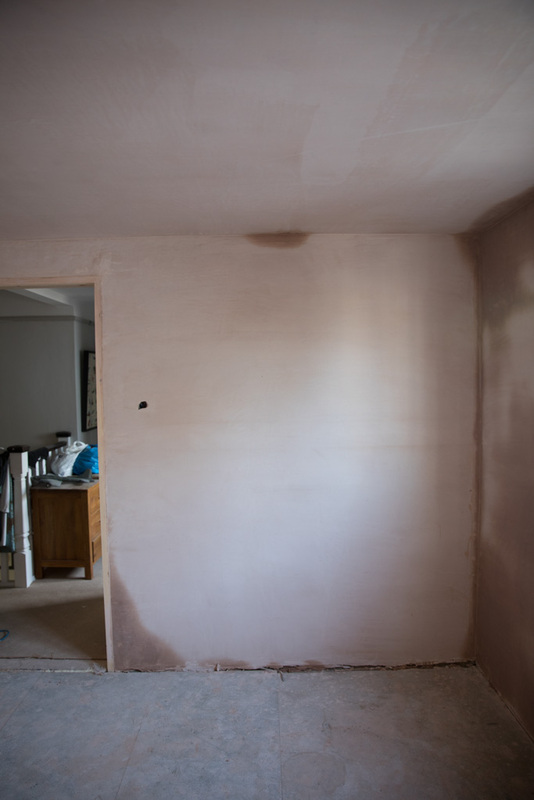 We needed 4m lengths so that we didn't have to join them along the wall (which were up to 3.2m) and wanted the exact ogee shape that we have in the rest of the rooms upstairs (remember we have the same theme downstairs but with a bigger profile). So I found an amazing company (with a whole range of skirting shapes that I didn't even know existed) who did 4m lengths and quick delivery. Thank you E & SW Knowles for sending it out so promptly in great packaging as well as your amazing customer service. I struggled to find the exact product I wanted and couldn't find it anywhere else. As a side note we used primed MDF rather than pine which is what we normally use and Mr Skirting generally found it easier to install. 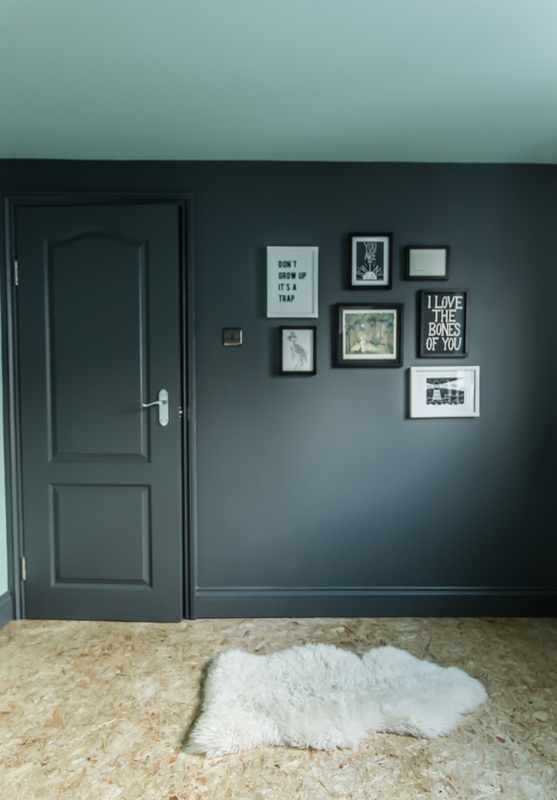 In terms of the colour I knew quite quickly that I wanted them to be painted in the dark grey hue of Weathervane to create a contrasting edge around the room against the OSB floor that would also blend in with the darker sections of the walls. I am really proud of this wall and the images I sourced for it and I just love looking at it when I look in the room. 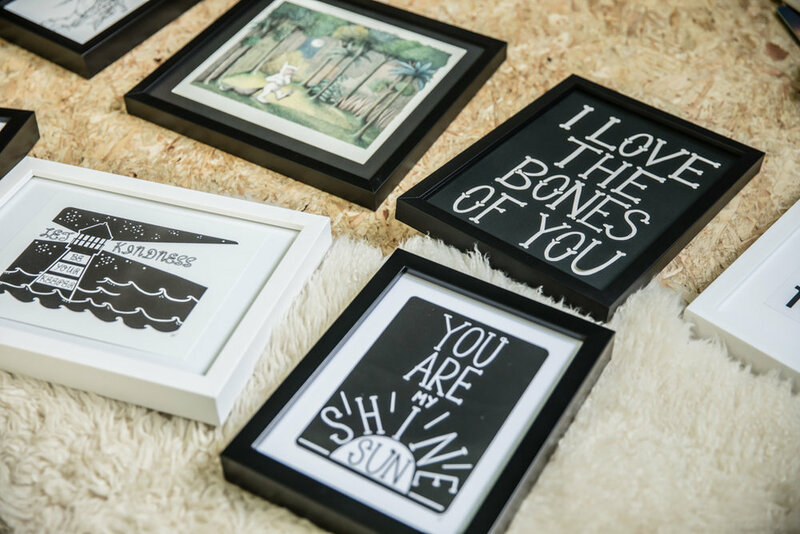 It comprises of the Maurice Sendak image that inspired the whole room as well as the quirky word illustrations by the talented Hazel Nicholls and a quotation by Nickie Kelly. 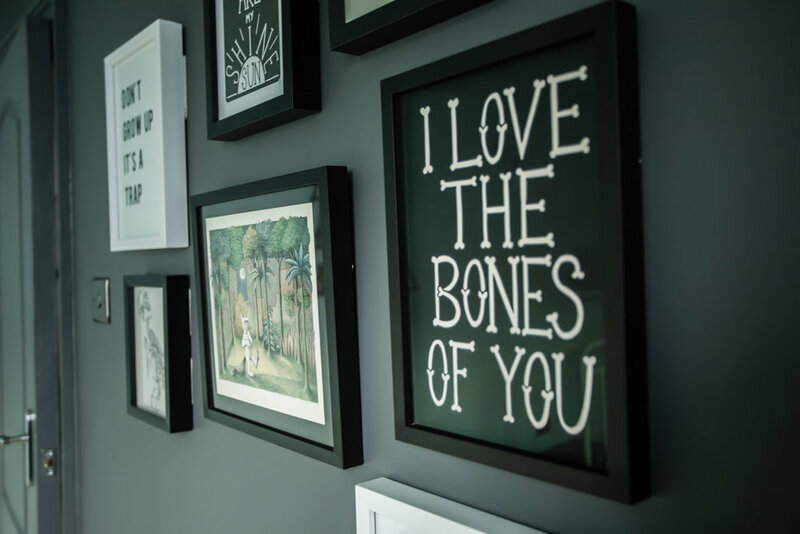 Just last weekend in Brighton I discovered a new artist Moxi which was a last minute addition to the gallery wall which is the parrot skeleton - Jack's favourite apparently! I also bought a skull and panther from Rose to feature somewhere else in the house. I've also included the final page of Where the Wild Things Are because I love the meaning of the end of this tale (sorry for the spoiler!) but if you haven't read it go have a read. It's deep! I used command strips for the first time which were amazingly easy to apply to the frame and attach to the wall. In fact I've bought a stash more so I can finally complete the gallery wall in our living room just in time for Santa's arrival. The last time I did I gallery wall I spend all afternoon deciding exactly where each picture would go but this time I didn't overthink it for once. I just put them up and made sure I left some space for more art down the line. I would highly recommend the services of David Mitchell in Lewisham and Studio 61 in Lee for reliable picture framing services with professional advice. Where did I get the other bits? 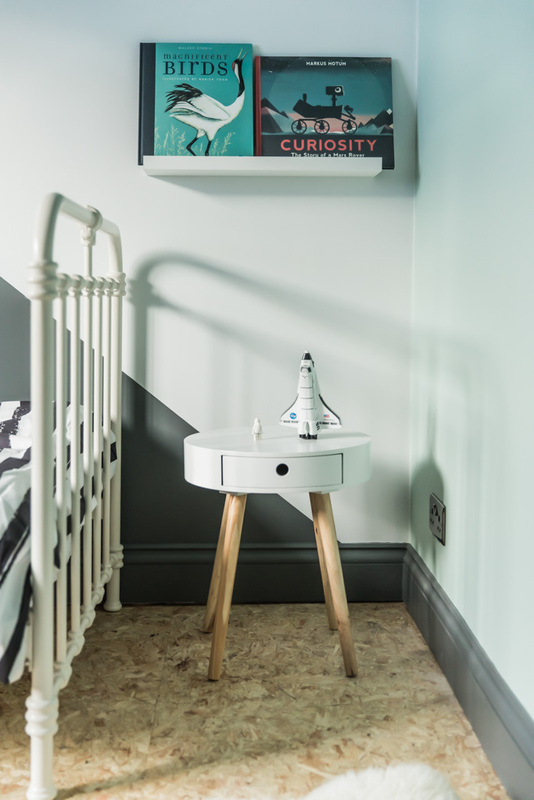 This gorgeous little bedside table is from La Redoute and Jack already loves that little drawer to keep his tiny bits of lego in! The bookshelves are the famous ikea picture shelves that is pretty much a must in any kids room (in my opinion). Massive thanks to Walker Books who gifted these stunningly illustrated books to me. 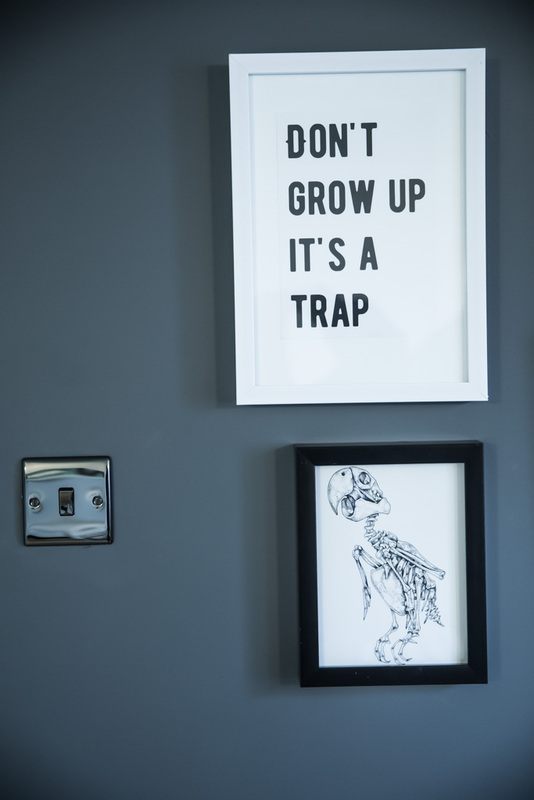 I knew that there would be a triangular theme in this kid's bedroom so when I saw this also on the La Redoute website I knew that it would be right at home in here and could be a great place for Jack to keep his lego masterpieces safe from his little brother. I discovered this amazing play mat that has a drawstring edge so when you finished playing you just pick up all the shrapnel and hang it up! But to be honest it looks so nice on the floor that I doubt that will ever happen. It has a cute little lightening bolt design on the other side. You can find this along with the lego brick storage boxes at This Modern Life. 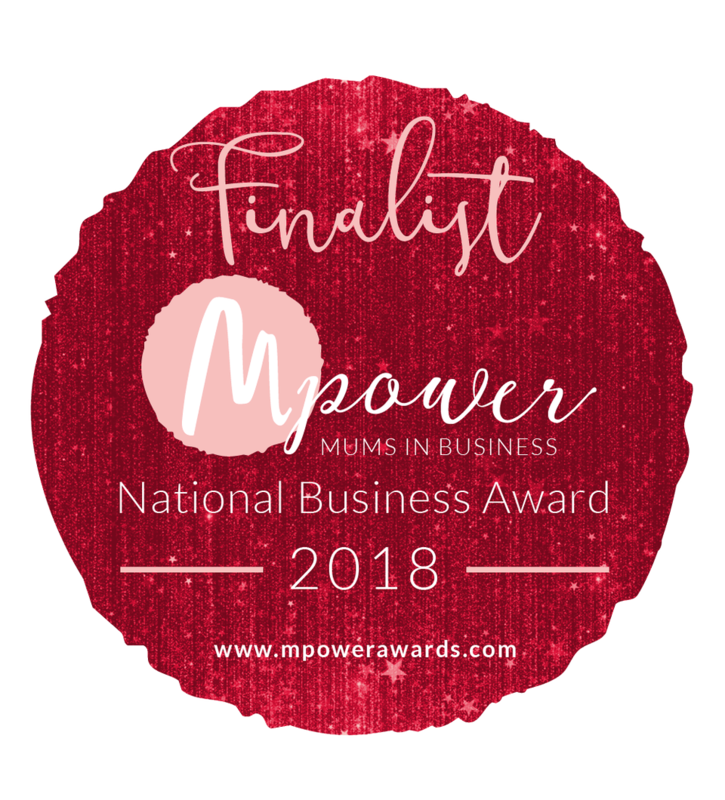 I apologise in advance but once you head over to their online shop you will probably part with some cash as there are SO many lovely bits for kids. This beautiful cast iron bed was bought a few years ago second-hand but you can buy similar at Maisons du Monde. It's such a timeless vintage design and the industrial feel is definitely in keeping with the feel in this room. 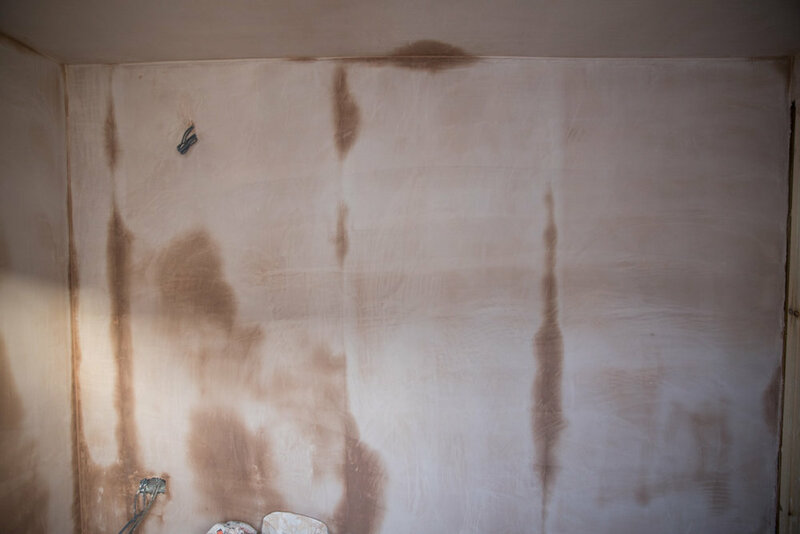 DISCLAIMER: I was very grateful to receive products for this room from Valspar, Walker Books and Hazel Nicholls so although this is a sponsored post, be assured that I only work with brands and artists that I love and that I think you'll love too. All photography by me. Like any kids bedroom, we just pray that they just go to sleep!!! !